What makes The MacIntosh Company different from other care communities? Since 1984 we’ve served the residents of central Ohio, reaching Franklin and surrounding counties. Our employees and leadership live and work in the communities we serve. The Ohio Department of Health and the Centers for Medicare & Medicaid Services measure quality through annual surveys and ratings. Every MacIntosh Company community consistently receives excellent ratings from both. Our staff never stops learning. Ongoing staff training means our administrative, nursing, therapy, dining and facilities staff remain compliant with state and federal healthcare regulations, food handling and sanitation standards, and OSHA regulations. Residents (along with their family members) are instrumental in making decisions about their care. Personal preferences are kept front and center to create an atmosphere in which residents can truly thrive as individuals. Headquartered in Hilliard, Ohio, The MacIntosh Company operates seven senior care communities that serve central Ohio residents. Our company mission is to provide personalized, uncompromised healthcare. We’re committed to ensuring that you or your loved one enjoy quality care in well-maintained communities, with outstanding service and the best possible experience. That’s why The MacIntosh Company doesn’t run nursing homes—we operate care communities. and outpatient rehabilitation to meet your needs. And if your healthcare needs change down the road, our company provides a continuum of care options. For those who want to maintain their independence but require some assistance, assisted living at a MacIntosh care community provides the best of both. Long-term care provides the necessary support for seniors who are no longer able to safely live at home and require some form of 24-hour nursing care. Post-hospital rehab offers customized treatment plans to ensure each patient’s needs are met, with the goal of transitioning home. Our rehabilitation program is a good fit for those who receive home care or need additional therapy following a hospital or skilled nursing center stay. 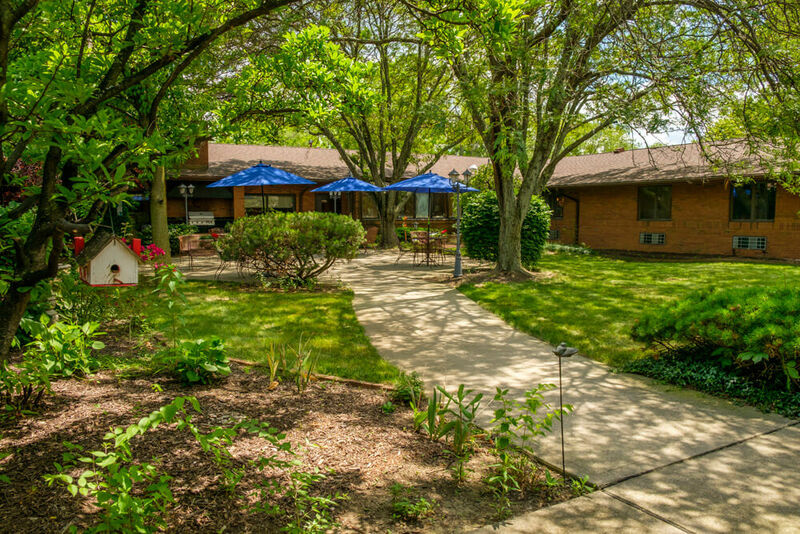 Scattered throughout greater Columbus, our healthcare and assisted living communities provide warm, welcoming environments for short-term guests and long-term residents with state-of-the-art care and therapy services. Each conveniently-located care community is like a neighborhood, with its own culture and personality. Guests, residents, families and staff are all on a first-name basis. We invite you to visit our communities to find the one that fits your personal needs.